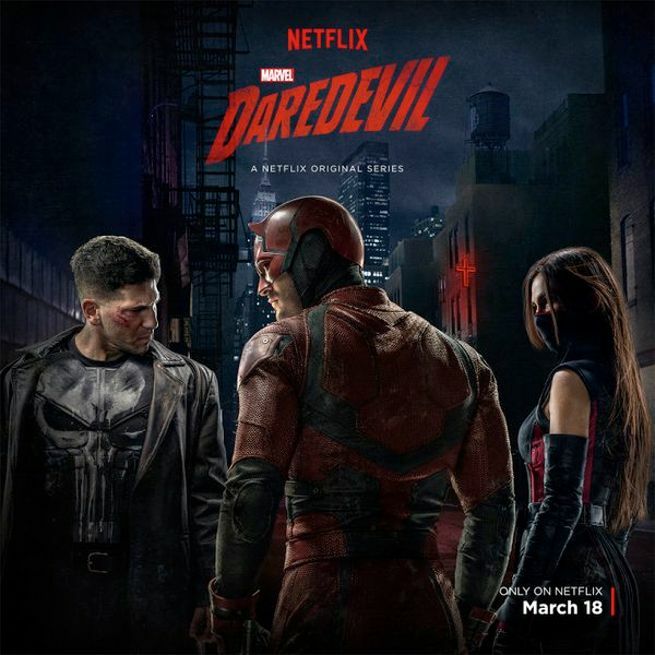 Set to air in less than two weeks from now, Marvel and Netflix are preparing the big guns, batons, and bladed weapons to appear as they release new promotional material for the new season of “Daredevil“. The show will once again feature Charlie Cox as the Man Without Fear, taking on the criminal underworld and protecting his neighborhood of Hell’s Kitchen with swift justice. However, the man with a radar sense also has to contend with two new forces: the rise of a ruthless vigilante known as “The Punisher“, and the return of an old flame in Elektra Natchios. To help hype things up, Netflix has released a brand new short promo spot featuring the characters appearing in the show. Besides Cox returning as Murdock, former The Walking Dead star Jon Bernthal plays Frank Castle/ The Punisher, while Elodie Yung of G.I. Joe: Retaliation plays Elektra. Daredevil Season 2 airs on Netflix starting March 18!